Around 1930 the art deco lamp AD 30 has been created by an unknown designer in France. Because of its size of nearly 80 cm the lamp can not only be used on tables, but also as a free-standing luminaire. The simple design and chalice-like lampshade provide an appealing aesthetic and timeless beauty. 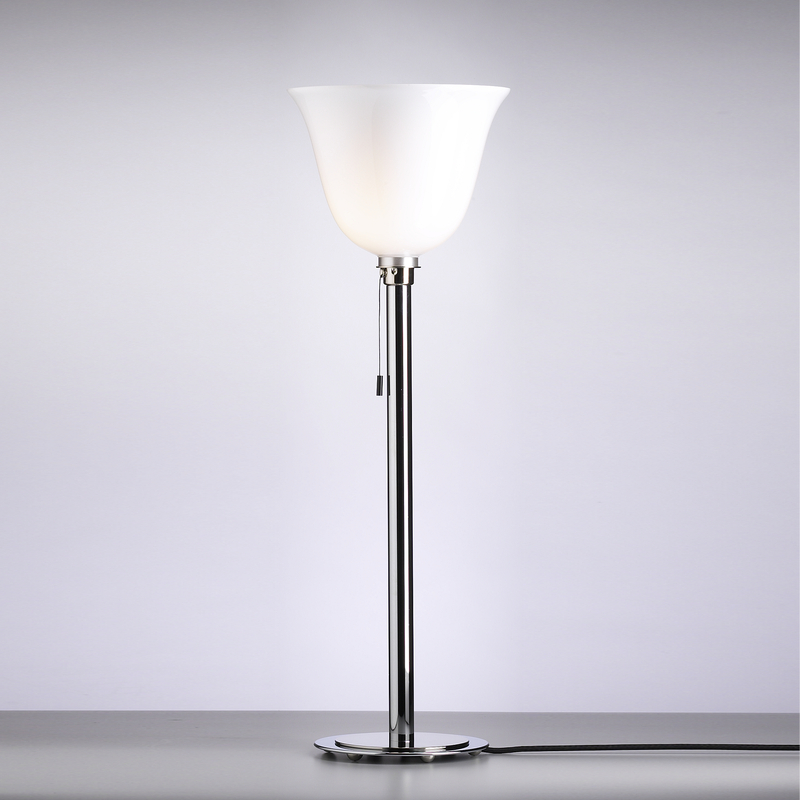 With its opal white glass AD 30 distributes an unobtrusive and harmonious lighting effect. Like all Tecnolumen art deco lamps, AD 30 is sequentially numbered and bears the Tecnolumen emblem.